More businesses and companies around the UK are turning away from broadband services in favour of dedicated leased lines in order to improve their communication infrastructure and improve efficiency. Of course there are a number of advantages and disadvantages to both services and here we outline them both and see exactly how companies can stand to benefit from using a leased line over broadband. Unlike broadband services, which use communal lines to transmit data signals, a leased line service operates on a private connection which is dedicated specifically to the company or business that is paying for it. This means that the data transfer speeds will be much higher and will not be affected by peak usage times in the same way that broadband lines are. Because of the dedicated service that comes with leased lines it is easier for service providers to include Service Level Agreements to customers. This means that the level of signal maintenance will be much higher than that of broadband, meaning that problems such as latency or jitter will be monitored and fixed accordingly. The choice of bandwidth selection is much more diverse with leased lines, giving customers more choice when searching for a leased line quote, allowing them to find a balance between cost and internet speed. When you sign up for a leased line you are provided with a series of permanent IP addresses which means that your company or business is able to set up its own servers. This gives you the opportunity to create your own internal mail service and web servers. 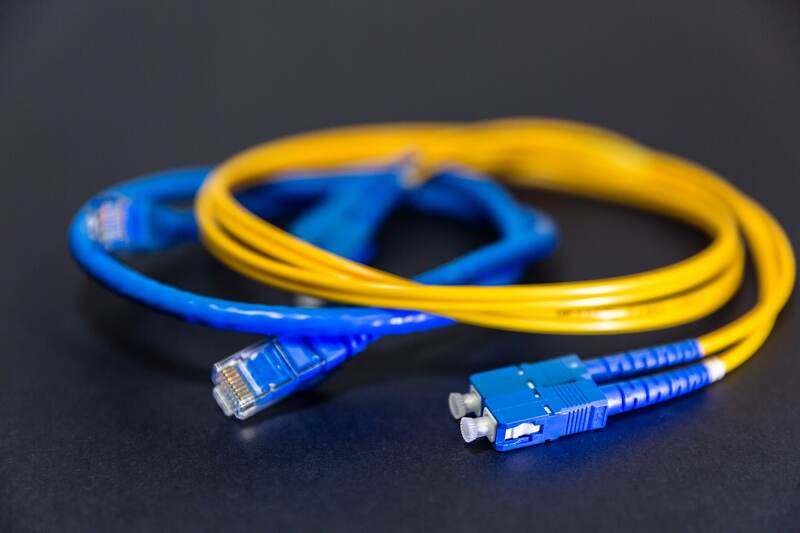 Leased lines are often available through a variety of different mediums including traditional copper wiring, modern fibre cables, radio signals or a combination of all three. This provides more versatility and means that any business or company can get connected. The main issue that puts some business owners and managers off of using leased lines is the price tag. Compared to broadband, leased lines can cost more every month which will subsequently increase your overheads. However, this may not always be the case as the monthly prices of a leased line are based on the chosen speed and the physical distance between end points of the circuit. The nature of a leased line means that there must be a fixed line in place before users can get connected. This means that the overall coverage is restricted when compared to widely available broadband services.